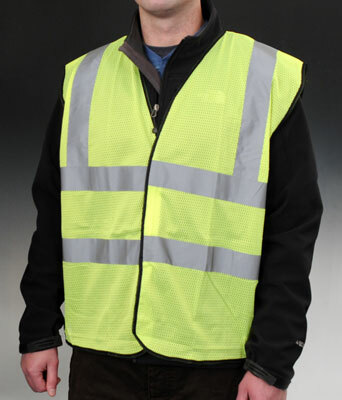 High visibility polyester ANSI Class 2 mesh safety vest has reflective band around torso and over each shoulder to increase visibility. Hook and loop closure. Select a larger size if worn over bulky clothing. Meets ANSI 107-2010 Class 2 requirements. Can be custom printed; call for details.